Notes: Sutton Court is an English house remodelled by Thomas Henry Wyatt in the 1850s from a manor house built in the 15th and 16th centuries around a 14th-century fortified pele tower and surrounding buildings. The house has been designated as Grade II listed building. The house is at Stowey in the Chew Valley in an area of Somerset now part of Bath and North East Somerset, near to the village of Bishop Sutton. The house is surrounded by an extensive estate, laid out as a Ferme ornee, part of which is now the Folly Farm nature reserve. Since the early modern period the house has been the country seat of several prominent families including the St Loes one of whom married Bess of Hardwick. They lived at Sutton Court and expanded the property in the second half of the 16th century. 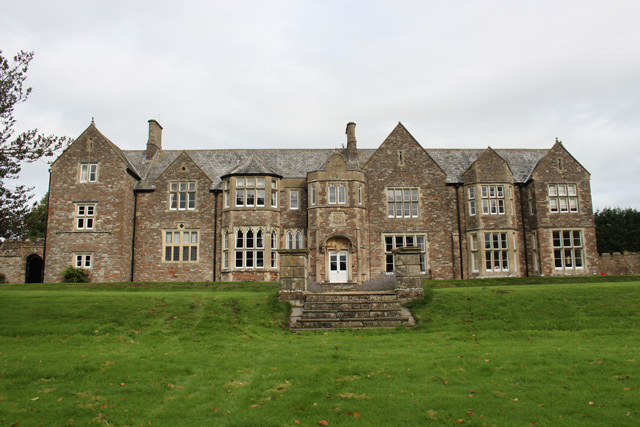 Throughout the 18th and 19th centuries it was owned by the Strachey baronets and their descendants until it was sold in 1987 and converted into apartments.